Just a heads up: I was okay to a point with his antics but when he started commenting and stating a fake fact about our NFL Champions the Philadelphia Eagles [Yes I am from Philly] kneeling during the anthem and called Philly Filthadelphia is why I had to say something and maybe you could say I’m a little bit biased but you attacked the city where the Declaration of Independence was signed and is has a huge historical meaning and artifacts and buildings. Let alone the fact that most of these rights your you have came from this important document being signed and the importance this city and state has in nation’s history to talk down about the great city I live in; of course there are “bad areas” just like any other city or state, I had to say something. First off your not ever going to be good enough to go toe to toe with Conor on the mic and I would bet on him beating you for your belt if you still have it. He trashed the man that sent RDA to welterweight Eddie Alvarez; please forgive me Eddie I know we are both from Philly and you grew up in the hardest part of the state to grow up in just think you were to small for him and fought to many wars. But you went all five rounds with RDA. How bought after you lose to Woodley you move down to lightweight and try to fight Mcgregor and join the list of people trying to be him but lose in the preflight press conference but he will make you some money at least i would like that type of payday Conor brings with him foreal. We southpaws gotta stick together tho haha. How you gonna wait till Bisping retires to try and come at him Colby after he just fought George St. Piere the GOAT champions in the Welterweight division and the real champ at the Middleweight division. GSP would trash you and you know it and Bisping probably would gave you a run for your money at his old age with one eye are you crazy. 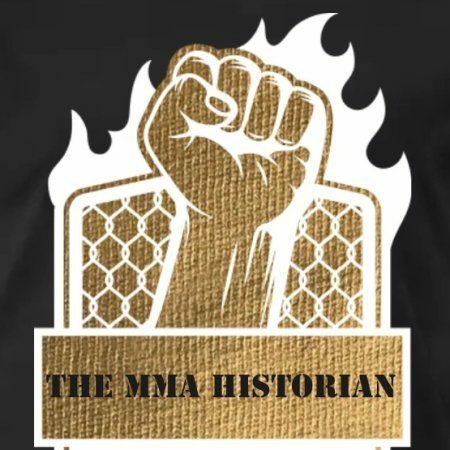 Can’t wait to watch my old Strikeforce prospect Tyron Woodley destroy you after you disrespected someone who has faught not one but two of the fighters in the run for GOAT fighters in MMA history. Even though I think my dude Anderson Silva would have finished him off had he still had his killer instinct; on the books he still went 1 for 1 against these legends. Now beat someone like them who’s not on their way out the door to hall of fame retirement and legendary MMA careers. If you even come close to beating Tyrone Woodley, the real UFC Welterweight champ, not the paper interim belt the UFC has been throwing around like candy lately; please forgive me UFC but you know I’m right and that is mainly why it is hard for me to want to watch your title fights as much as I used to, then try talking like Mystic Mac or the Notorious One. Let alone act like after winning your first UFC title like you can even speak on a legend like Bisping who with one eye has done more then you and his resume makes yours look like nothing. Just try taking an H Bomb from Dan Henderson once and tell me if you would still be fighting, let alone go on to win the UFC Middleweight crown and have a win on his resume against the GOAT Anderson The Spider [GOAT] Silva. You were alright with me before you started talking about my boy Woodley like that; let alone my boy Bisping who literally just retired and now couldn’t fight you any way. Come on dude.